There are many different bold and crazy hairstyles trending today, and these are always fun to do and look at. Whether you take different elements from them to add to your own style, or are feeling daring enough to replicate one completely, here are some of the craziest hairstyles ever. 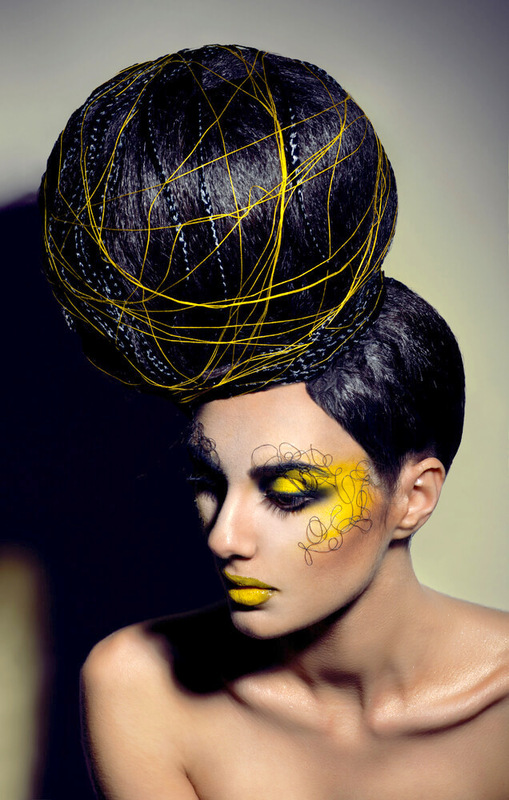 This crazy hairstyle is extremely high fashion and avant-garde, but can still be replicated in a more subtle way. Simply by toning down the bun and making it smaller, but keeping the placement the same. Want to go all out with a giant bun? You will likely need to add in some hair extensions, and will need to use quite a few accessories to keep everything in place. Nevertheless, while this style ma y take some time to create, there is no denying that it is definitely an attention-grabber. Many would not consider this look to be crazy, but that all depends on the shade of pink that you choose. Not sure how to choose a shade? 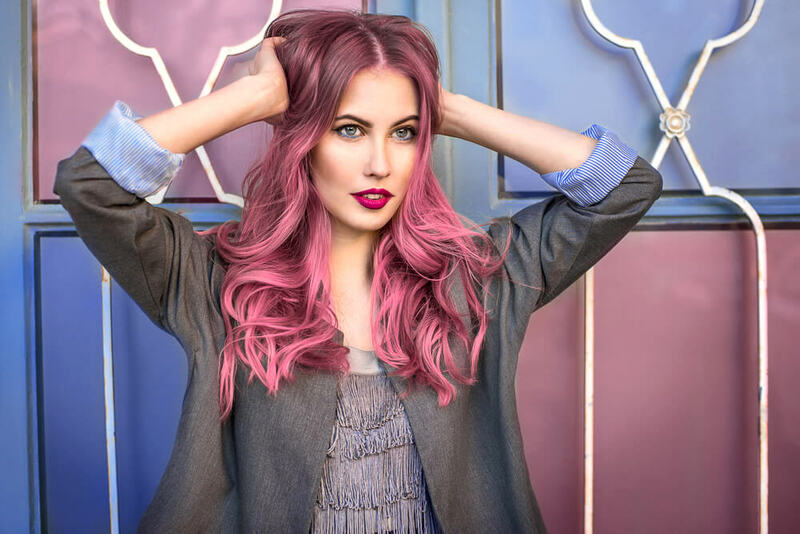 Once you have taken the plunge and gone pink, remember that you will need to use a shampoo and conditioner formulated for colored hair. Wondering if this actually makes a difference? Definitely, because these products will help to preserve the vibrancy of your hair color, whereas other shampoos will end up stripping your color off much faster. In fact, there are shampoos that are formulated for specific colors too, so try to find one that is designed for the dye color you have chosen. Looking for a shampoo that also contains SPF can be helpful in preserving your new hair color. Because the sun’s UV rays will end up fading your color, whereas an SPF shampoo will help to prevent this from happening. Still can’t seem to find a good shampoo? Often, grocery stores just don’t cut it when it comes to quality hair products for colored hair. If this is the case where you live, try visiting a hair salon as they will likely stock higher quality hair products, and will also be able to properly advise you on exactly what it is you need. Princess Leia buns are truly iconic, and this makes them seem classic rather than crazy. Whatever category you think they may fall under, this is a style that works well on many different face shapes, making it one well worth trying out. Think this style will take ages to put together? It may at first, but should not take longer than ten minutes once you have mastered the technique. To create this style, begin by tightly tying a ponytail above each ear. You will then need to twist your hair around each ponytail, making sure that the twist that you form looks absolutely perfect. Try to do this in one movement, flipping your hair around in the same direction, spiralling it round into a bun. Of course, this perfection is not necessary if you are opting for a more casual look instead. You will need numerous bobby pins to hold each bun in place, and can then even cover each bun with a transparent net to ensure that no hair goes astray. Finish off your look with a spritz of a strong-hold hairspray. Wigs can be lots of fun to experiment with, because they allow you to try out many crazy styles without having to make any changes to your actual hair. Never worn a wig before? The way in which you store your wig will make a huge difference to how long it lasts. A wig stand is the best way to go, as this will help to hold the wig’s shape, but a wig net will also work well. Do you need to wash your wig? If you go for a human hair wig, then yes. With synthetic wigs, there are quite a few different synthetic fibers available, so you will need to check the care instructions for the specific wig that you choose. The complexity and level of detail in ultra-glam updos are definitely impressive, and so is the amount of time and patience needed in order to create a style such as this. There is a certain beauty to these complex looks that make them tempting to try out, but just be aware that you will need to practice these types of styles quite a bit before you manage to master them. It goes without saying that this would be more of a special occasion style than an everyday one, and will no doubt add such a unique dimension to your overall look. Can’t seem to manipulate your hair in the right way? Pink and blue have already been mentioned, but if you cannot decide which color to go for, how about opting for rainbow hair instead? From Katy Perry to Lena Dunham, this style has been seen on many different celebs, making it quite trendy too. 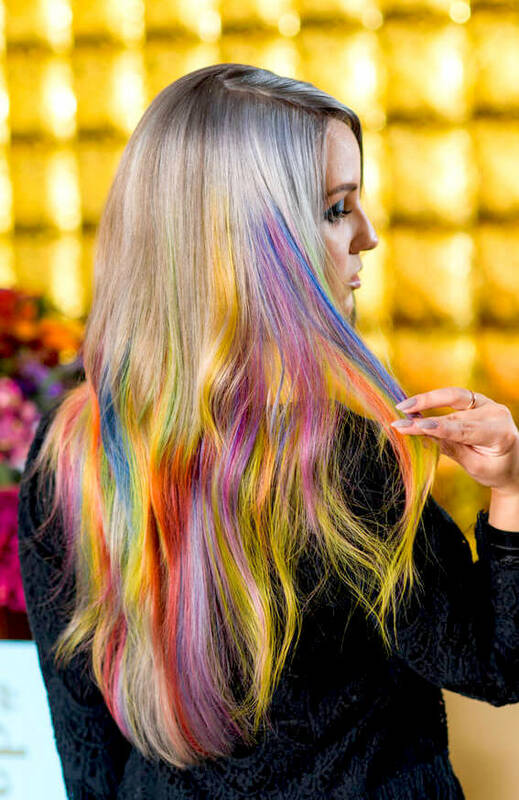 In order for you to really pull this look off, you will likely need to bleach your hair first, as well as cut it in a style that will work with the rainbow colors. Ever since Kylie Jenner sported vivid blue locks, this crazy trend has really taken off. 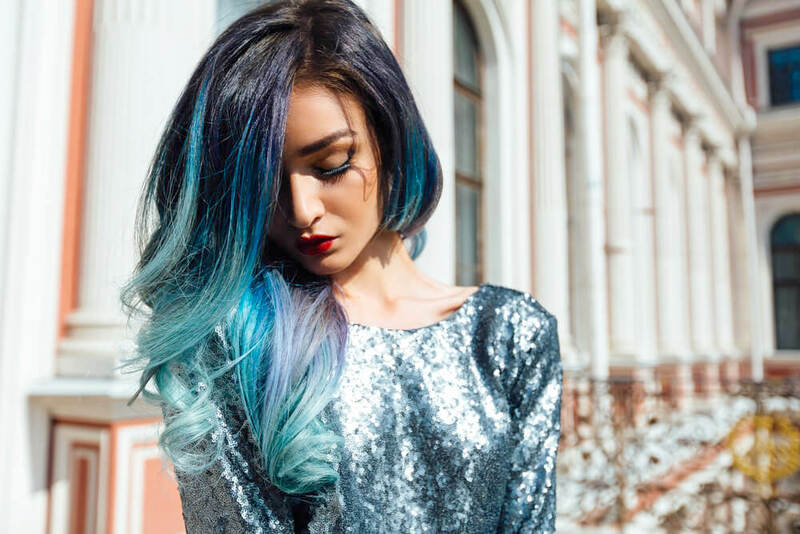 Adding in blue streaks to your hair can be quite a lengthy process, depending on your hair color. Those who have darker colored hair will need to have their hair bleached first, whereas those who have naturally light hair may be able to get away with adding the blue on directly. Whichever the case may be for you, it is important that you go to a professional for a style such as this. Not sure whether or not you can pull this look off? The secret to this look is all about the shade of blue that you choose, as well as the placement of your streaks. Make sure that you opt for shades of blue that complement your skin tone, making use of multiple shades to give your hair some extra dimension. While you may be tempted to go all out and dye all of your hair blue, keeping it slightly toned down by leaving your crown natural will help to highlight the blue and keep this style looking trendy rather than outrageous. If you are looking for a style that is crazy yet classic at the same time, then a mohawk is the way to go. Wondering whether a mohawk would suit you? Not quite brave enough to go for a mohawk? You could always consider a faux hawk instead. This is similar to a mohawk, with the top of the hair styled in the same way, except more toned down. There is also more freedom when it comes to the sides of your hair, meaning that you can keep this longer if you wish. This is quite a fun, feminine look, and has a slightly vintage feel to it. While it is well-suited to special occasions, it can also be worn on an everyday basis, and will give a chic, sophisticated edge to just about any look. For those of you who have long, thick hair, this style will work especially well. You have two options available; using rollers or using a curling iron. As with every hair styling tool out there, there are pros and cons to each of these. Curling irons are quick and easy to use, although the process will take a bit more time for a style such as this. They are also extremely versatile when it comes to actually creating the curls, giving you the opportunity to precisely curl each section of hair in exactly the way you want it to move. On the other hand, rollers enable you to simply style your hair and then leave it to set, meaning that there is less time and effort involved. They will also give you the maximum amount of volume, and tend to be the best option when you are curling your whole head of hair. The bow bun is such a fun style, and is actually not that difficult to create, only taking a few minutes once you have gotten the technique mastered. This is a style that will work best for those with longer and thicker hair, as well as with hair that has not been freshly washed. 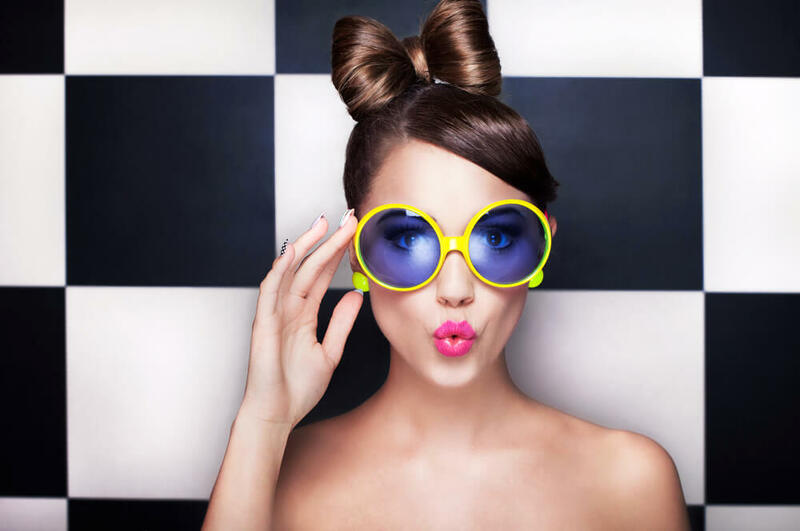 It is always so much fun to experiment with crazy hairstyles, because even though you may think that you would never wear them out in public, you never know what may end up suiting you and complementing your features. 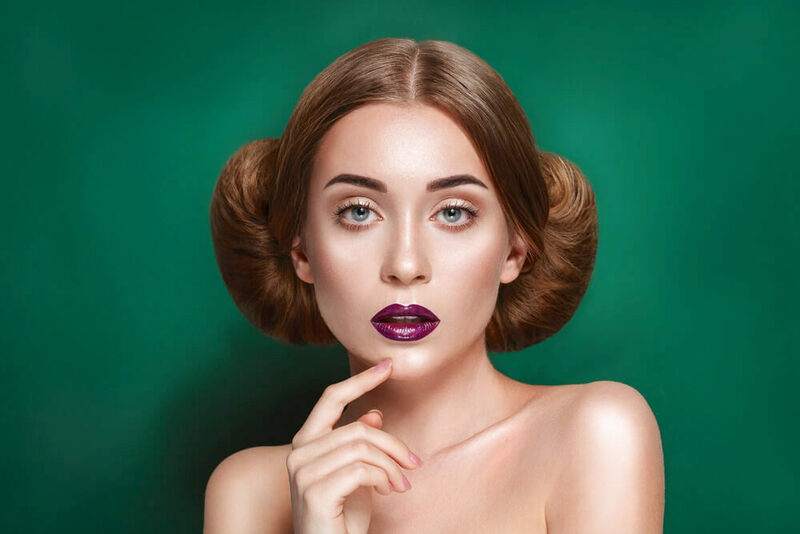 From Princess Leia-inspired buns to crazy hair colors, these outrageous styles are definitely worth trying out when you want a hair change. This entry was posted in Hair and tagged crazy hairstyles, hair color, hair styling, hairstyles, highlights, summer 2018.